What Ingredient Makes A Relationship Thrive? 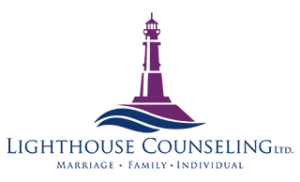 | Lighthouse Counseling Ltd.
What Ingredient Makes A Relationship Thrive? Dr. Sue Johnson, who founded EFT (Emotionally Focused Therapy), the most researched couples therapy model, has studied this question extensively. She has been able to distill the answer to this question down to its bare essentials: What truly makes a relationship thrive and provides the key to long-lasting love is emotional responsiveness. What emotional responsiveness is and how it works is outlined by the acronym A.R.E. People need to feel as if their partner is accessible to them, and their partner should be accessible. In order to increase accessibility in your relationship, pay attention to your partner and be sensitive to whether it seems that they are trying to reach you. It can often be difficult to extend an olive branch in times of disconnect, so your partner might try to reach you after a fight but in a soft sort of way. Try to be open to that. It is also important to be available to just listen. So many times, people just want to be heard by their partners, and they are longing for empathy, but they receive an unwanted solution. You can increase your accessibility by just listening and validating how your partner feels. Avoid providing solutions. It always feels good to be validated. This one may seem obvious, but, I’ll say it anyway. When your partner comes to you, respond. If you are actually unavailable because you are doing something else, let them know you’re busy now and reassure them that their concerns are important to you. Arrange a later time that you can come together to discuss the issue and actually honor that commitment. When partners start to ice each other out and do not respond to each other, they open their relationship up to all kinds of problematic possibilities. Instead, stay connected by responding. Emotions have not always been well understood, but more research is leading to an increased understanding of them. Johnson argues that love is really an emotional bond more than anything else, and research in neuroscience, psychology and biology seems to be backing up this claim, as she demonstrates in her book Love Sense: The Revolutionary New Science of Romantic Relationships. It is therefore crucial for partners to be emotionally engaged with each other. It is not only important to care about your partner’s emotional experience and be curious about it, but you should also let them know you care. The more emotionally engaged partners are with each other, the stronger their bond. Next time you get into one of those blood-boiling fights with your partner, stop, take a deep breath, and ask yourself what you are really fighting about. Chances are, you are both struggling to see if you are there for each other and how much you really matter to each other. Increase your accessibility, responsiveness and emotional engagement with each other, and fights will start to be easier to overcome, as they will really just be about the dishes, the garbage, and of course the money. Hold Me Tight, Seven Conversations for a Lifetime of Love, Dr. Sue Johnson (2008) pp 57-58. Chelsea earned her Bachelor’s of Science Degree in Psychology from the University of Minnesota Duluth, and obtained her Master’s degree in Marriage and Family Therapy at St. Mary’s University Minneapolis. Chelsea has experience working with ages 10 and older in an outpatient, school-based, and in-home setting. She utilizes an integrative approach to therapy. Meaning, she chooses and combines different aspects of therapeutic approaches in order to meet each individual’s/couple’s specific needs.